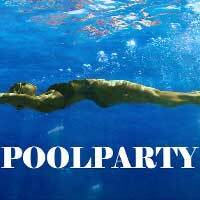 #poolparty is a thought-provoking play about the history of swimming pools, the desegregation of a private swim club, and how the legacy of racism in the water continues to affect us all. See Jennifer Mendenhall's play at Joe's Movement Emporium in Mt. Rainier. "...Roya’s speeches about swimming are interesting and poetic, and the play creates a touching portrait of the Waters family. But Mendenhall has jammed too much of her obviously extensive research into the script. At the ceremony, for instance, Regina plunges into a lecture on the history of American swimming pools. Such informational sequences, together with some bluntly interspersed family flashbacks, give the play an ungainly quality. The formality of the speeches-at-a-ceremony conceit doesn’t help." "..."#poolparty" is a worthy stab at a significant cultural shift in one's own neighborhood, but going forward, it needs -- like a swimmer -- to stay in its lane and focus on its central story. Ally Theatre is soliciting people's own stories about pools and race. I hope nobody is tempted into adding those stories, too, into a future version." "...#poolparty provides a broad, in-depth look at a slice of U.S. history that is mostly unknown. Mendenhall takes viewers through key court cases and other legal and municipal decisions that continue to resonate in our region's communities today. With a strong cast and thoughtful directorial and design choices, #poolparty will change the way you think of this summertime pleasure." "...If it seems like a lot to take in during one play, I will offer that it is. But writer Mendenhall and her director Gillyard keep the story moving swiftly even as the past and the present collide in a panoply that illuminates as it questions. You will likely leave with questions about your feelings on the subject matter or even your own pool story. The production invites patrons into the lobby of Joe's Movement Emporium to continue the discussion, share, and talk. Or you can drive home, past neighborhood pools, and dwell on your questions No matter what, it makes for theatre that is more than just a cool dip in the pool, and that's as it should be."